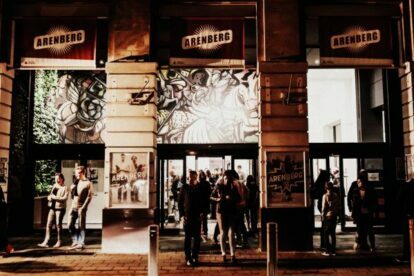 Arenberg is one of the many theaters in Antwerp. It’s located in the center of the theater district and its program varies from comedy to theater to musical events and dance performances. They also organize festivals, art events and inspiring get-togethers, which gives a chance to meet like-minded people. Before or after an event, you can have dinner or just coffee and drinks. Arenberg emphasizes on talent development and intercultural exchange. This culture house is a great place for young and artistic talent. Every year over the summer, Arenberg organizes different music performances, but also theater and comedy, in the Openluchttheater Revierenhof in Deurne, a very nice open-air theater in the midst of nature. The music genre goes from Rock to Blues and Jazz and Folk. If you are in need of a space to rent for parties, receptions, workshops, expositions, seminar, meetings or even performances, Arenberg is offering. You can find more information on their website.